Your helmet number is framed in the respective color. Please follow the instructions of the staff. 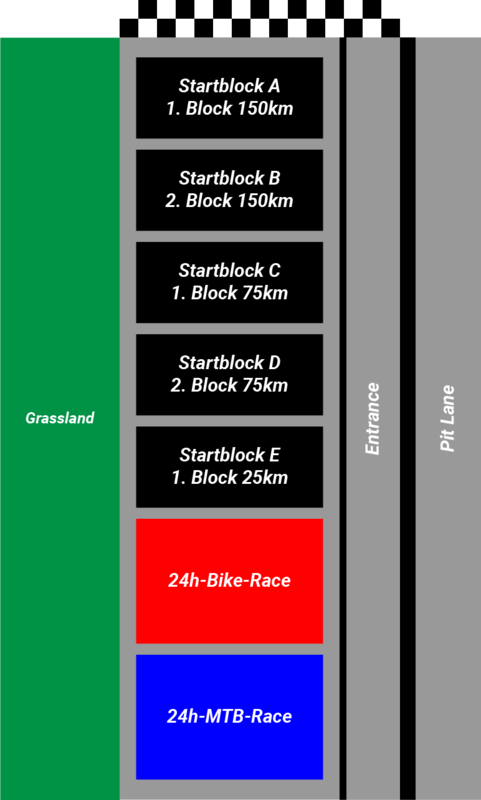 The first starting blocks (A and C – see right) will be filled with riders according to the regulations of the German Cycling Cup. In addition, the first 50 men and the first 15 women of the respective races (75 or 150 km) of the previous year are qualified. We ask for your understanding that we cannot consider any further special requests regarding starting block allocation.